Over the years, George Davis, Inc. has been involved with and supported many local organizations. Most notably has been our involvement with Katelynn’s Closet, a 501(c)3 non-profit organization established in 2009 by George’s wife, Beth, Ann Bearse, and Suzie Johnson. In 2018 alone they helped 1,500 children here on Cape Cod. They accept new and gently used clothing donations. All shoes, socks and underwear provided are new. 100% of all donations go directly back to our local community. Katelynn’s Closet was named after Katelynn Bearse, daughter of Ann and Matthew Bearse. Katelynn died at the age of 9, waiting for a heart transplant. Katelynn would always take the time each day to wear the clothing that made her feel good. When Katelynn looked good, she felt good. It was this premise that helped establish Katelynn’s Closet. For several years, Katelynn’s Closet was located in our building. 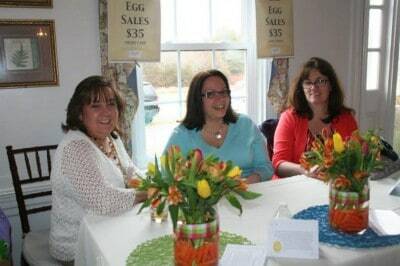 They have since outgrown our space and moved to 45 Commercial Street here in South Yarmouth. George Davis, Inc. donated much needed time and supplies to help Katelynn’s Closet get on their feet in the new location. 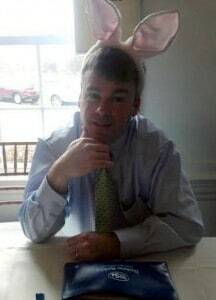 We have also sponsored their annual Adult Easter Egg Hunt and their involvement with the Spectacle of Trees. Many of our clients have kindly supported Katelynn’s Closet since it’s inception and we are honored and humbled by their generosity. To find out how you can support Katelynn’s Closet, please visit www.katelynns-closet.org or like them on Facebook.